Fortunately, ca tru is now being restored and is more liked by the younger generation. 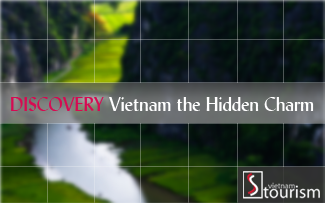 Research scholars have traced the origins of ca tru to areas of high culture, such as the ancient imperial capital of Thang Long (present-day Hanoi), Ha Tay, etc. Artists of great talent have practiced the art, including Quach Thi Ho, Thuong Huyen, Kim Dzung, etc. Some of them are now in their seventies, but a successor generation has blossomed and holds great promise. Ca tru is where poetry and music meet. People familiar with such ancient verse as luc bat (the six eight-syllable distich) and hat doi (singing tossed back and forth between groups of young men and women), and who are capable of sympathizing with the sentiments expressed in the sound of a small drum or a two-string viol, are more likely to fully enjoy a recital of ca tru. Many famous poets of past centuries were great amateurs of ca tru who wrote beautiful lines to go with its melodies. One well known instance is the poem singing the enchantment of a pilgrimage to Chua Huong (Perfume Pagoda) by Chu Manh Trinh. Coming from the lips of a ca tru singer, it has bewitched successive generations of pilgrims visiting the hills and streams of the famous pagoda complex in Ha Tay Province. Ca tru music is most enjoyable when there is complete harmony between the words being sung, the rhythm marked by a pair of small bamboo sticks held by the singer who strikes a small block of wood or bamboo called phach, and, last but not least, the appreciation shown by a man among the audience beating a small drum at the appropriate moments. In short, ca tru is a refined form of art which is paradoxically appreciated and loved by audiences of all compositions. There are those who sit in small numbers in an urban auditorium to enjoy a recital. A Ca Tru Club has been founded in Hanoi where amateurs of this musical genre, young and old, local and foreign, regularly meet to enjoy its charming melodies. Ca tru singing is inscribed on the list of Intangible Cultural Heritage in need of Urgent Safeguarding on 1st October 2009. Complex of Hue Monuments lies along the Perfume River in Hue City and some adjacent areas of Thua Thien Hue Province.